In vintage Rolex collecting circles, there are a few references that stand out as must-have watches. Let’s explore four iconic vintage Rolex models and discover why they became legendary watches and sought-after collectibles. The GMT-Master 1675 is a highly collectible watch especially if it has the small GMT hand. The Rolex GMT-Master ref. 1675 was the second reference to join the collection of Rolex pilot watches. It was introduced in 1959 and it was in production until 1980. One of the reasons that the GMT-Master 1675 is highly collectible is that there are so many variations within the same reference family. Over its more than two-decade production run, Rolex continuously modified and enhanced the GMT-Master ref. 1675. For instance, since the 1675 was the first GMT-Master watch to have crown guards, Rolex experimented with the shape of them. Early models had pointed crown guards—which are the most coveted—followed by rounder ones later on. Then there are the glossy vs. matte dials, small GMT hand vs. large GMT hand, and non-hacking vs. hacking seconds calibers. The variations of the GMT-Master 1675 are so plentiful, you could build a wonderful vintage Rolex collection just based on this one Rolex model! A Paul Newman makes it to the list of highly collectible vintage Rolex watches. 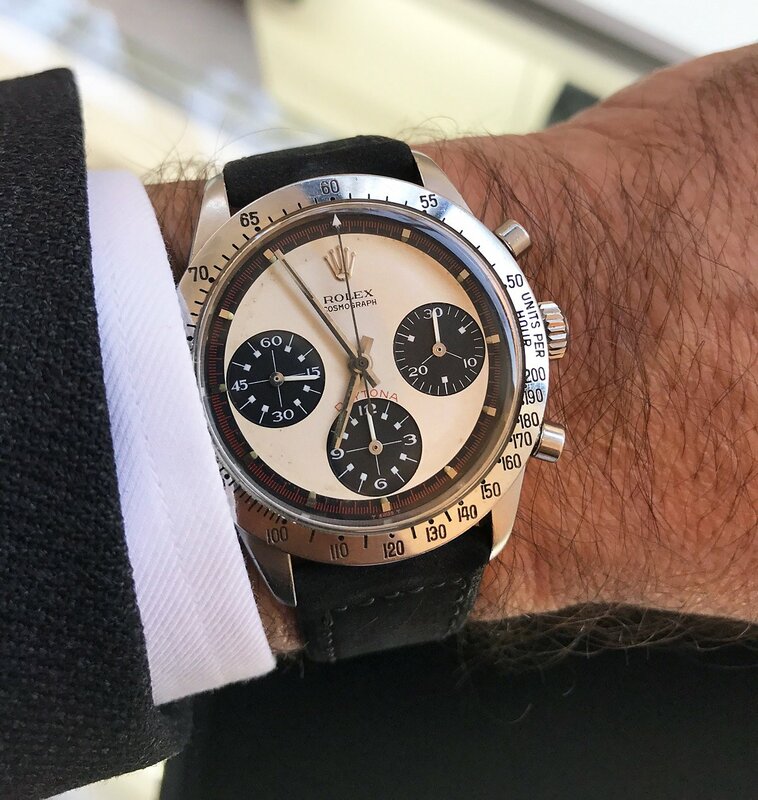 Even before the historic $17.8 million sale of Paul Newman’s own Daytona 6239 “Paul Newman,” this particular vintage Rolex already boasted grail status within watch collecting circles. The ref. 6239 was, in fact, the very first Rolex Cosmograph Daytona watch, first launched in 1963. This manual-wound vintage chronograph is the starting point of what would eventually become the most famous luxury chronograph collection in the world. Now, being the first Daytona reference is already a special thing, but combine that with the “Paul Newman” dial (officially called exotic dials and characterized by a specific style of subdials utilizing Art Deco font, hash marks, and other details) made famous by the actor himself, and you’ve got the vintage Rolex watch to own. The Submariner is an iconic watch to have, specifically the “Red Submariner”. While the ref. 1680 was the not first Submariner, it was the first Submariner to come equipped with a date window and accompanying Cyclops magnification lens. Making its debut in the late 1960s and produced until the late 1970s, there are at least seven different dial variations of the Submariner ref. 1680. The most desirable version, however, are those referred to as the “Red Submariner,” which are early Sub ref. 1680 watches with red text on the dial. These specific dials were only made until about 1973, after which the red “SUBMARINER” was replaced with white text. As the first Submariner Date that essentially laid the groundwork for today’s Submariners (there’s only one current Submariner that no longer offers a date window), the ref. 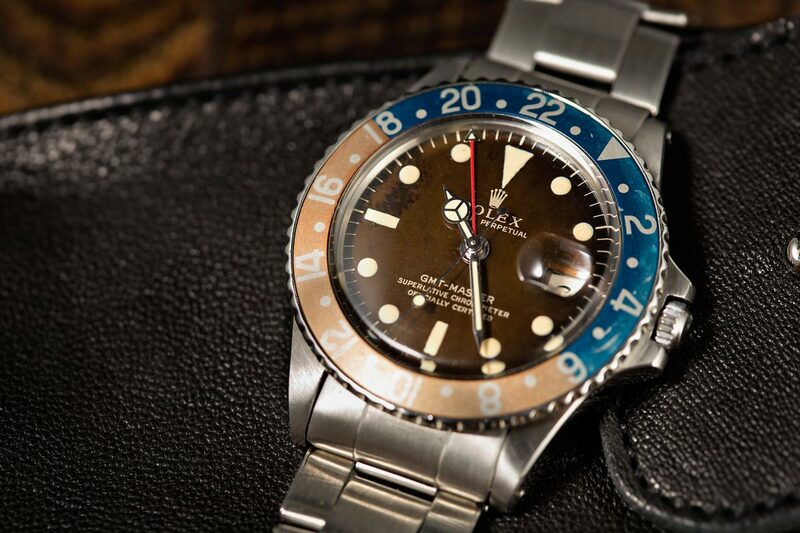 1680 is a significant reference in Rolex’s history of making dive watches. Last but not least, the McQueen Explorer 1655. Yet another vintage Rolex nicknamed after a famous actor, the Explorer II ref. 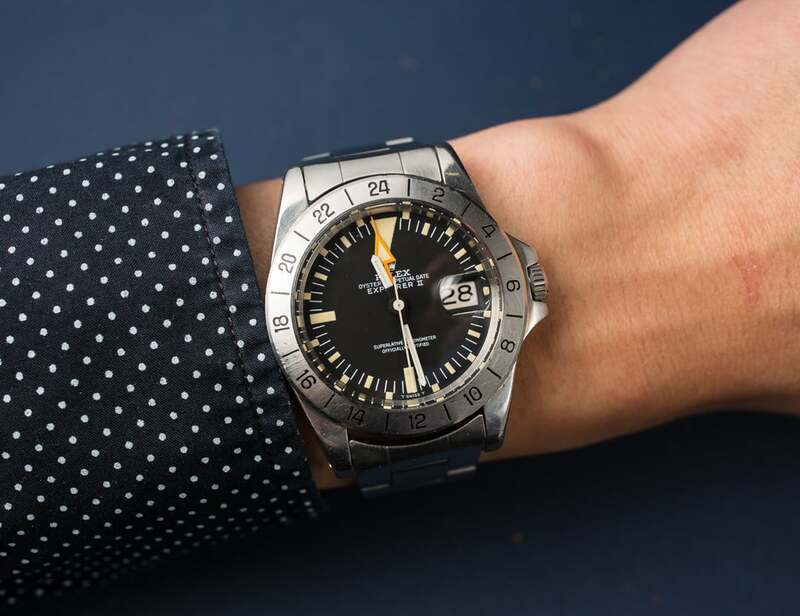 1655 is often referred to as the “Steve McQueen.” Although it’s unlikely that the King of Cool ever wore the Explorer II 1655 (he was more of a Submariner man), the name stuck. The ref. 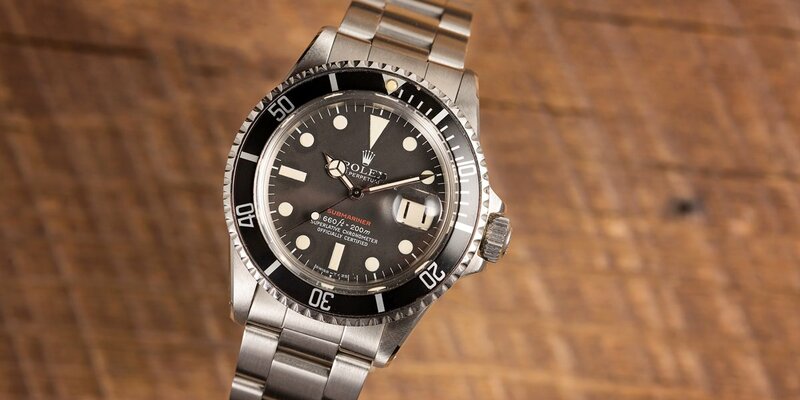 1655 was the first Explorer II made and its design is unlike subsequent models of the same collection. Made specifically for adventurers who spend a lot of time in the dark—like in caves or at Polar Regions—the Explorer II ref. 1655 includes a large orange 24-hour hand that points to a fixed 24-hour bezel used as an AM/PM indicator when looking at the sun isn’t an option. Future versions of the Explorer II are GMT watches, so the Explorer ref. 1655 is the only Rolex watch with a Day/Night indicator. If there’s one theme that ties these four iconic vintage Rolex watches together is that they are either the first reference of a particular collection or the first to introduce a now-essential design component of a model. The GMT-Master 1675, Submariner 1680, Daytona 6239, and Rolex Explorer II 1655 all paved the way for today’s iterations of Rolex’s most popular sports watches. From a collector’s point of view, the originals are always fascinating models to own because they represent key chapters in Rolex’s ongoing story.